Up until about a year ago, my Twitter bio used to include "slow runner". This wasn't any kind of false modesty or humble brag - for me, it was just the truth. I knew I wasn't very fast, and while I wasn't really okay with it, I'd accepted it. I held onto this "slow runner" thing for a long time, too long really. I let it define me. I used to caveat my race times when asked with "I'm really slow, but..." I used to hate telling people I finished my first half marathon in 3 hours. I was embarrassed even though I trained hard and ran 13.1 miles when only 9 months previous I hadn't been able to run for a minute. If I'm honest, it made me think I wasn't "a real runner." I'm not sure when the point was when I realised I wasn't slow anymore. My friend Kris was the one to point out my Twitter bio and asked me to change it. "You're not slow anymore." I knew she was right, and it was then that I started to realise how negatively this simple two-word phrase might be affecting other people. Slow is subjective. One person's slow is another person's "god I would love to be able to run that fast." 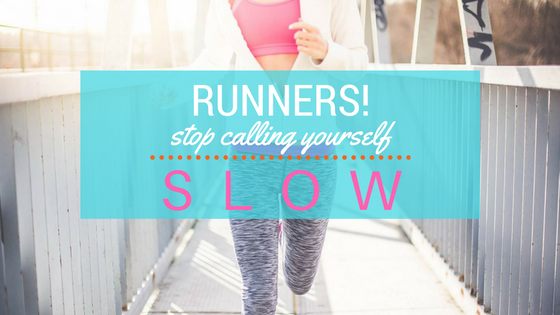 I'm not blaming the word slow here, no more than I'm blaming the word fat for all the negative connotations around that, I think in reality I'm blaming society for making us believe that only speed matters in running, but I digress. When we call ourselves slow, we make other people feel inadequate. and that's when people give up running, stop running for the joy of it, or when we even give beginners reason to not even start. What's the point if you're going to be slow, right? But we're all "slow" when we start out. Of course we are. We're not going to be Olympic athletes when we go for the first run since the bleep test. And that's okay. In fact when anyone asks for my advice when they want to start running, the most important piece of advice I can give anyone is "run slowly." Speed and times should not matter when you're starting out or trying a new distance. Just get there, it doesn't matter how long it takes. And slow running is important. 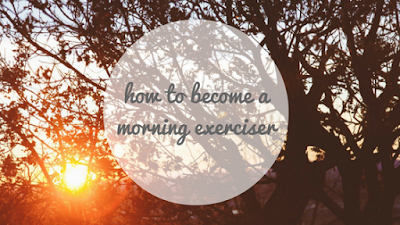 What about the traditional long, slow run? 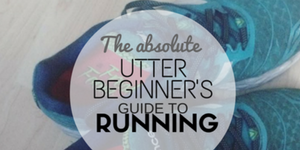 Or the midweek easy runs that are part of any training plan? They are absolutely essential, and they're not meant to be done at full pelt. Constantly running in our red zones is what causes burn out and injury. I don't want this to sound like a pearl-clutching think of the children! piece, because that's not my point at all. I just think we should all stop the self deprecation, stop beating ourselves up if we don't run a PB every single time we lace up our trainers. We're all working hard. I know I'm not slow. I'm not fast, but I've worked bloody hard these last few years. My 9-10 minute miles might not be breaking the world speed record, but they're amazing for me who was running 12-13 minute miles a couple of years ago. I've run two half marathons and a marathon in that time and I'm pretty proud to be oh-so-slightly above average now. I know there's an argument to just focus on you, but we all know that's hard. I'm glad that my friends who run 7 minute miles never make me feel bad, and I'm careful to never refer to my runs as slow. It's hard. I hate myself a little bit that I only felt I could be truly proud of my running when I finally ran a "decent" second half marathon and I could put the pain of my first three-hour half to bed. I hate that I'm embarrassed by my old race times on swelteringly hot days or unexpectedly rough courses. It's going to take time, but I'm trying. So let's stop calling ourselves slow. Hell, let's stop calling anyone slow. We're lapping everyone on the couch. And don't forget, a 6 minute mile is just as far as a 20 minute mile.